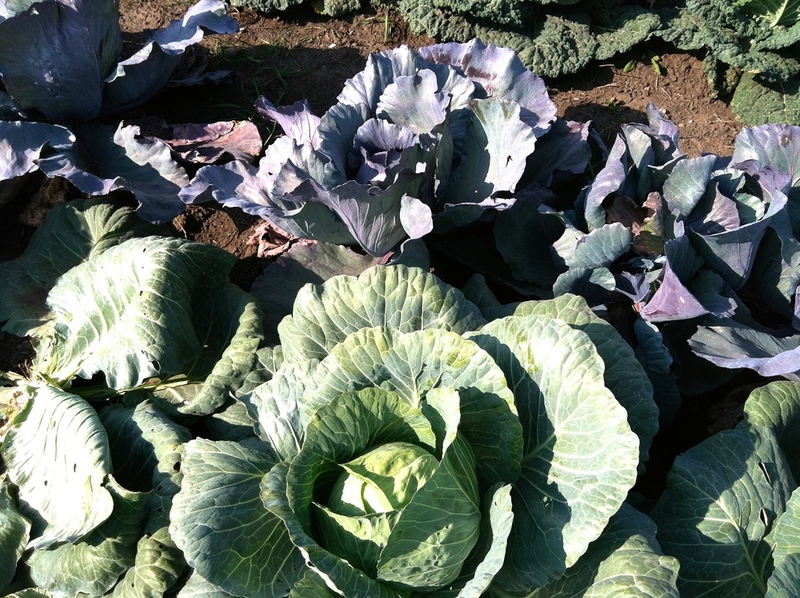 You know it's the end of winter when your mouth waters at the thought of picking and eating a fresh cabbage this summer. Cabbage?! I'm a professed vegetable fanatic, there is not a vegetable that I do not love, but at the top of my list is the sexier vegetables like juicy, heirloom tomatoes, romanesco cauliflower, slender crisp carrots, sugar snap peas, buttery Amish deer tongue lettuce....cabbage is a bit of an afterthought often. This morning though, with a fresh coating of sticky Spring snow nestled around the greenhouse, our farm manager Lars and I seeded just under 1,000 heads of green, red, and savoy cabbage. We dropped the tiny, round brown seeds in the sweet-smelling potting mix, lightly covering the seeds and watering them in all tucked in tight in their flats. They go into our "germination chamber"--essentially a sauna of 85 degrees and high humidity to pamper and sprout the seeds in their first days in the soil. While I sprinkled soil over the cabbage seeds, I dreamed of the waxy, dewy heads of this beautiful cabbage that we would be picking in June and my intense cabbage craving began. And since St. Patrick's Day has just passed us by, what better way to celebrate this humble yet striking vegetable than in a traditional Irish dish: Colcannon. My favorite version is on our website. It is a dish that will keep you warm on a March Spring Day. Loon Organics - Recipe - Colcannon.